This winter I am heavily involved in preparations for the Geological Association of Canada – Mineralogical Association of Canada Annual Meeting (GAC-MAC), which will take place in Winnipeg this May. 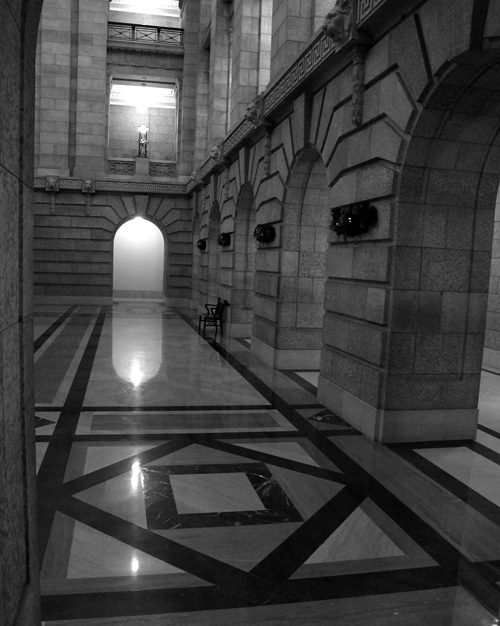 One of the more agreeable tasks has been collaborating on the preparation of guidebooks for two fieldtrips: one to examine the Ordovician-Silurian boundary at various sites in south-central Manitoba, the other a relatively simple afternoon walking tour of the Manitoba Legislative Building. In a corner of the Grand Staircase Hall, the walls are of Tyndall Stone, baseboards are Botticino marble, and the floor is grey-pink and pink-red Tennessee marble and Ordovician black marble. 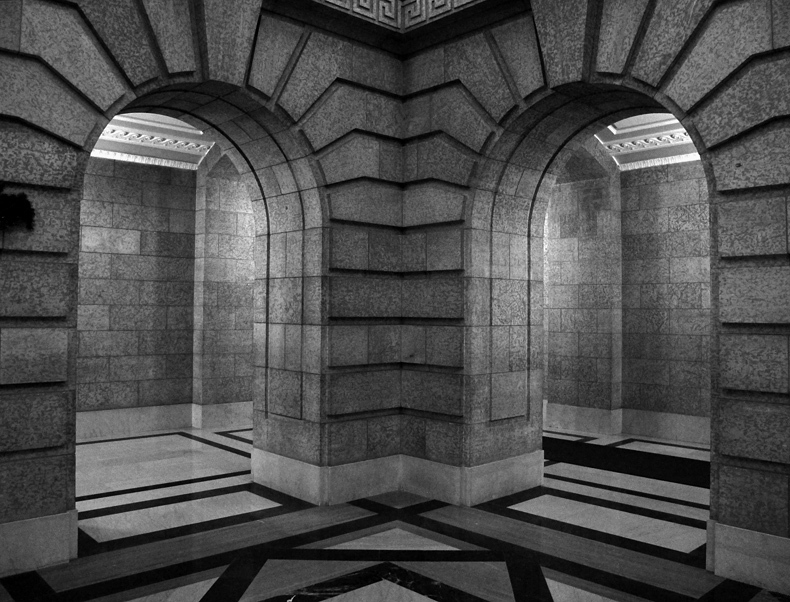 The Legislative Building (or “The Leg” as it is often called*) is such a common sight to commuting Winnipeggers that most of us probably barely think of it, but it is a gem, both architecturally and geologically. 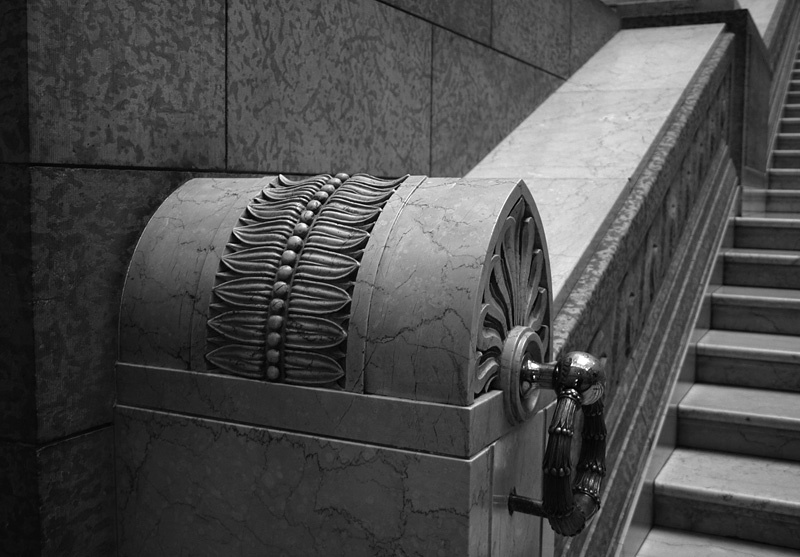 Opened in 1920, the Legislative Building is commonly described as a neoclassical structure, but its detailing betrays a bit of Beaux-Arts exuberance, and the statuary is a strange melange of Canadian history and classical, Egyptian, and prairie mythology. 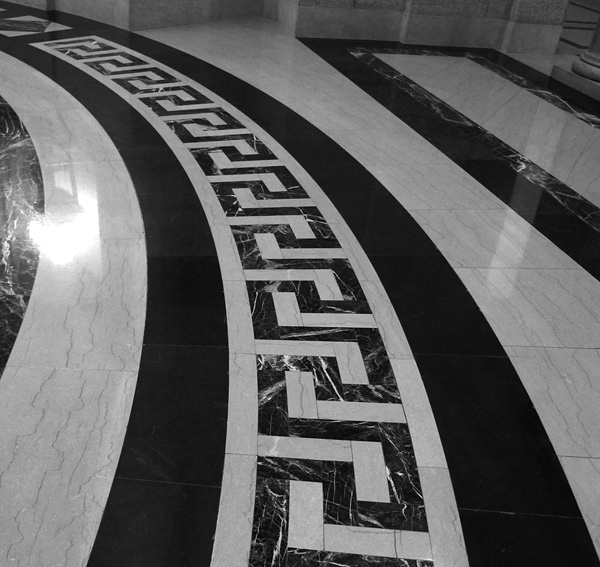 A floor in the Rotunda is composed of grey-pink Tennessee marble, Ordovician black marble, and green Vermont Verde Antique marble. Note how the stylolites (pressure solution features) in the Tennessee marble have been carefully aligned with the arc of the curve. 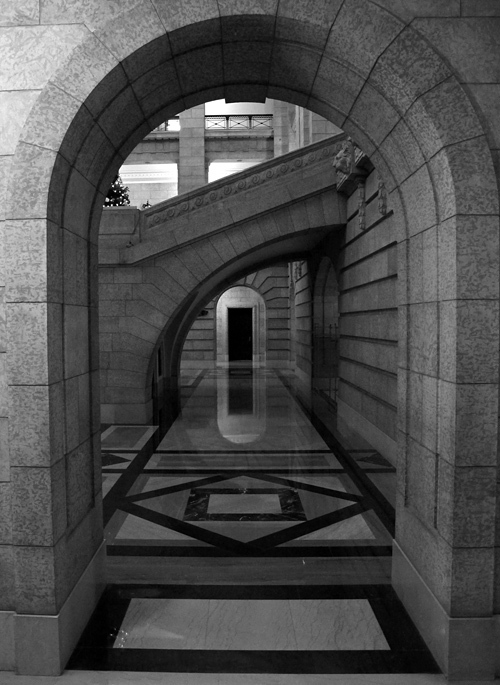 Geologically, the building’s interior combines acres of cut Manitoba Tyndall Stone with a carefully-selected suite of imported dimension stones: pink and red Tennessee marble, cream-coloured Italian Botticino marble, Ordovician Vermont black marble, Indiana Bedford limestone, Vermont Verde Antique marble, Québec Missisquoi marble, and a red marble breccia of unknown provenance. 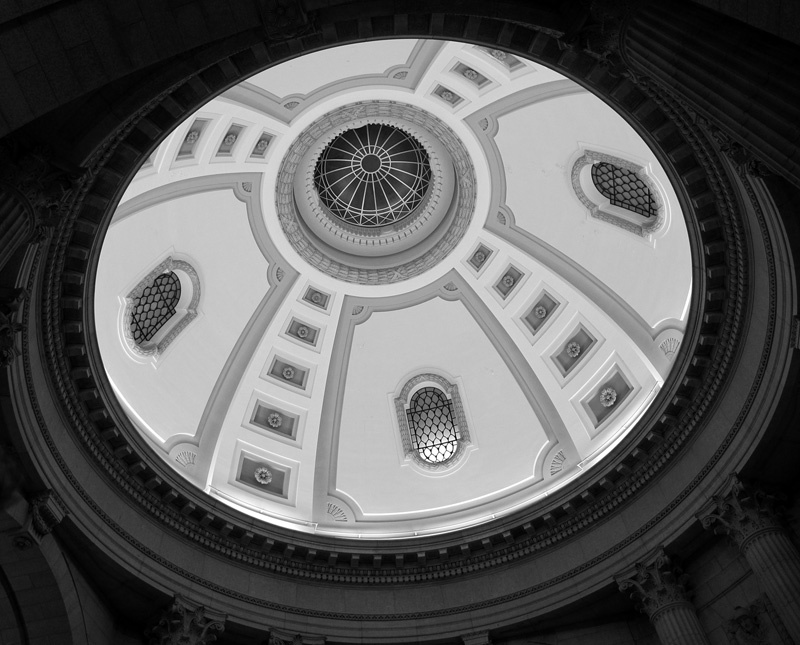 ** Through the combined skills of architects and stonemasons, these stones have been blended into a remarkably coherent structure; there is harmony in the Legislature even when there is dissonance among the politicians within its chamber! I visited this place many times when we were working on our publication about its geology***, but I have never tired of it because there is always something new to see, some previously unobserved feature to discover. The images here are a few of the more “architectural” photos that will appear in our field guidebook, which should be available as a download later in the year. 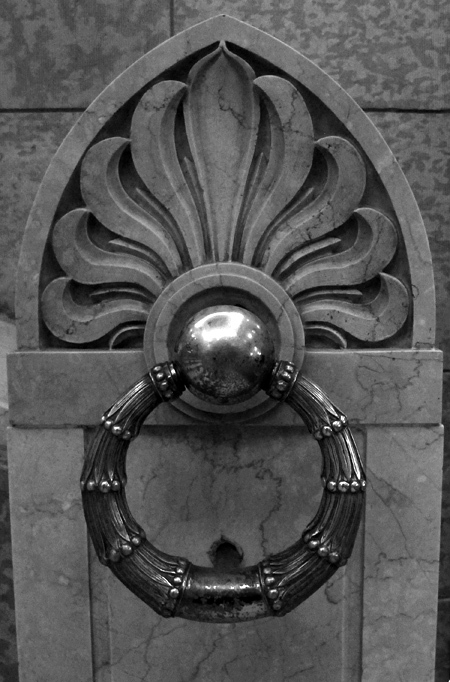 The quality of the Botticino marble permitted very fine carving work. * “Leg” is pronounced like a windowsill, not like a limb. ** To the stonemason, a marble is any limestone or related rock that is massive and can be readily cut and polished. Many of the “marbles” are, in geological terms, not marbles at all, but they all have fascinating geological histories. 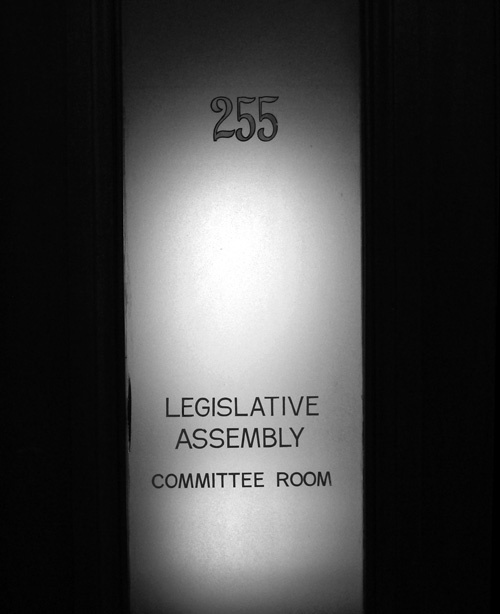 *** If you wish to read the details of the Legislature’s geology, a pdf of the full article by Brisbin et al. can be downloaded here.